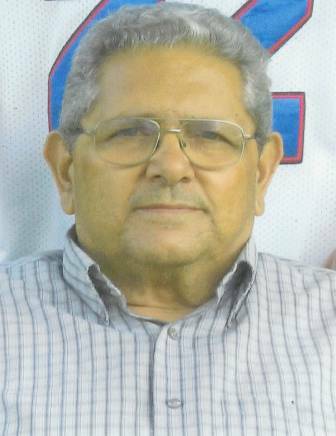 Mr. Daniel M. Moore, age 71, of Grove Place, Salamanca, New York died Saturday, June 23, 2012 at Strong Memorial Hospital, Rochester, New York. Born March 3, 1941 in Bradford, Pennsylvania, he was the son of the late Daniel and Pasqualina Cherilla Moore. He was married July 29, 1961 to the former Patricia Van Buren, who survives. Mr. Moore was employed as a maintenance foreman with Cooper Industries in Olean, NY for over forty years prior to his retirement. Surviving besides his wife are: 2 daughters, Danita Woodworth, Salamanca, NY, and Wendy Moore, Salamanca, NY; 1 son, Len Moore, Jamestown, NY; 3 grandchildren, Sean Woodworth, Nicolas Woodworth, and Christopher Moore, all of Salamanca, NY; 1 sister, Diana (Ben) Reynolds, Bradford, PA; several nieces and nephews. A celebration of life will be held on Saturday, June 30, 2012 in the family home, 11 Grove Place, Salamanca, NY, from 3 â€“ 6 p.m.